Brexit this, Brexit that! March 29th 2019 will be a defining moment in this country’s history. Whatever happens, as the United Nations of Peckham, we continue to celebrate all people from all corners of the EU, all races and all classes. Bun your referendums, no deals, scaremongering. Bun Theresa May and the rest of your dogsbodies, we’re just not having it. We’re going to arm ourselves with copious amounts of rum punch, beer pong, giant jenga, soundtracked by smatterings of Kanye West, dollops of Beenie Man, lashings of Lionel Richie, Spandau Ballet and Queen, with a Drake and Rihanna cherry on top. We’re going to create our own history. 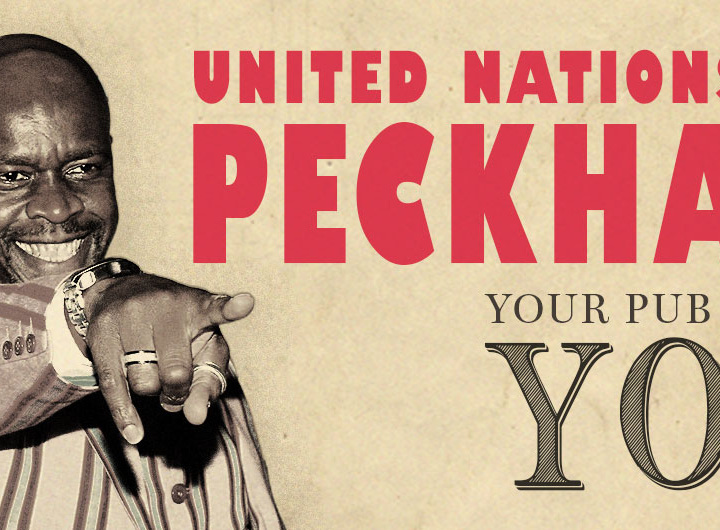 People of Peckham, your pub needs you.